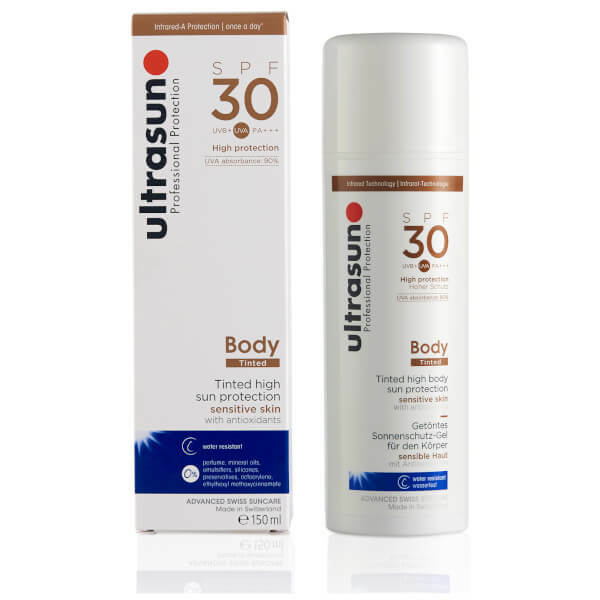 Ultrasun's SPF30 Tinted Body Sun Protection is a water-resistant sunscreen that provides high, all day protection from UVA and UVB rays, whilst delivering antioxidant benefits. Fortified with Ectoin®; a rare natural enzyme that shields skin from the effects of UVA induced damage and premature photo-ageing, the fast-absorbing formula glides effortlessly onto the body for a natural-looking finish and healthy glow. 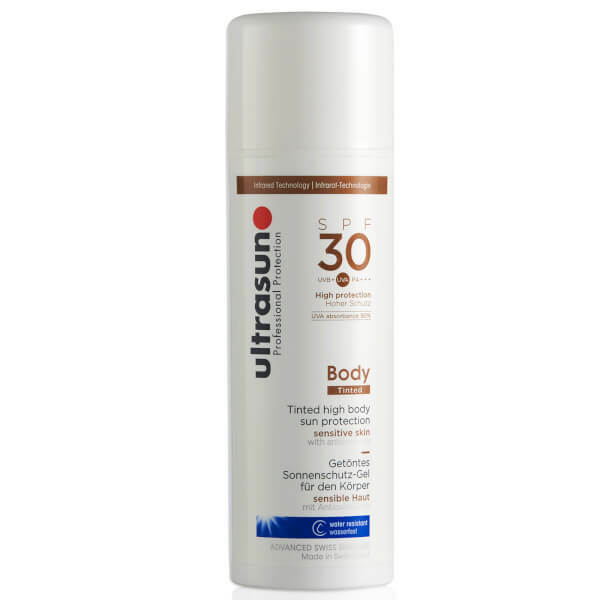 A holiday must-have for sensitive skin, arms and legs are radiant, comfortable and protected from prickly heat.